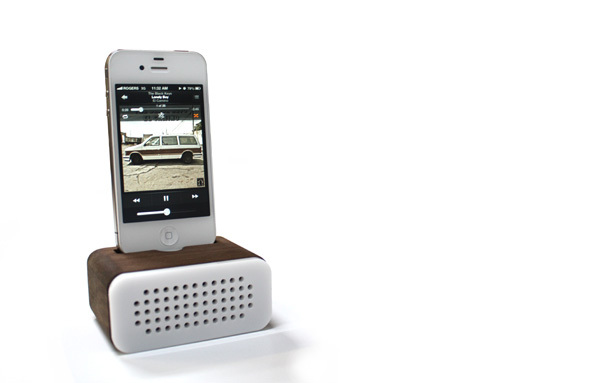 The amplification of an audio source doesn’t always require electronics. 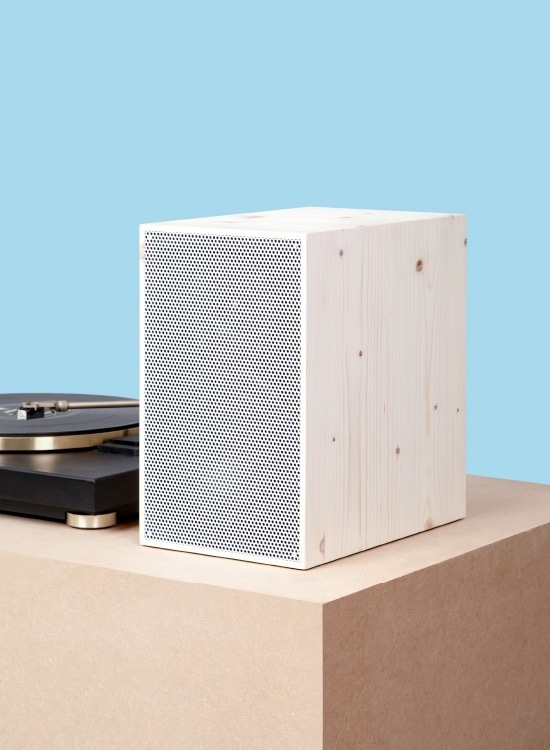 Sometimes all you need is a well designed wooden box with the right acoustic properties. 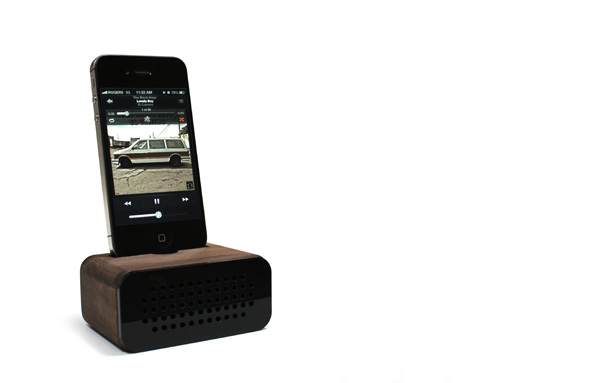 Case in point the Timbre Amplifier for your iPhone. 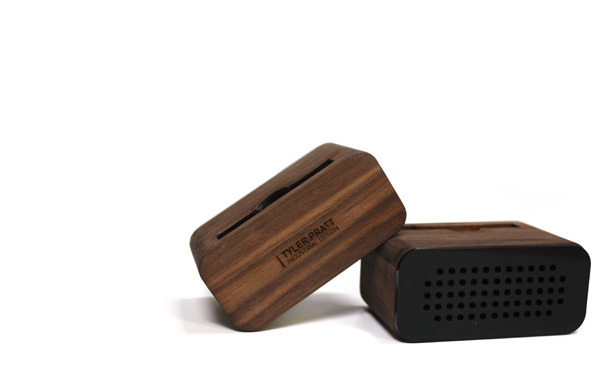 Timbre by designer by Tyler Pratt is locally crafted from black walnut wood and is available in two finishes. 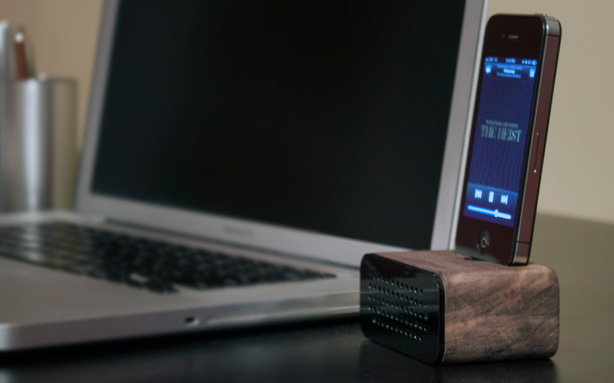 The wooden amplifier provides up to 20 decibels in audio increase with no cords, no batteries, no wire. 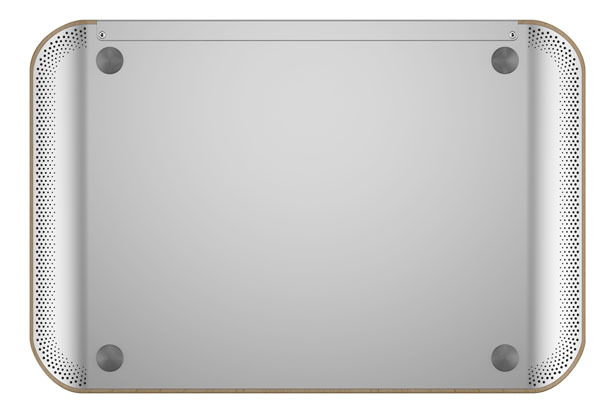 It looks nice, is well designed and provides good function with little visual intrusion. 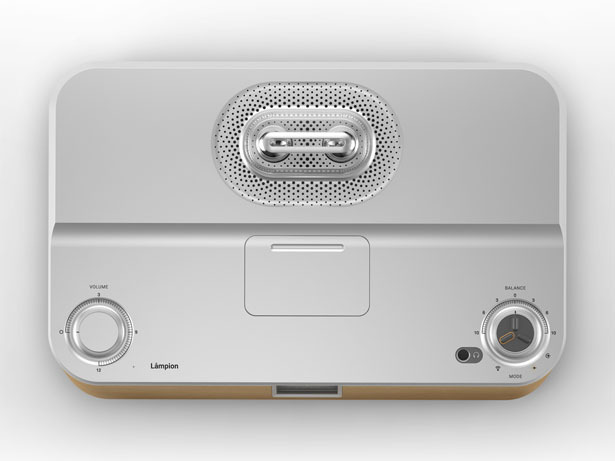 Posted in iPhone Apps, Music and such, Technology and tagged Amplifiers, Audio, iPhone, Passive Amplifier, Stereo, Timbre, Tyler Pratt on June 12, 2013 by Author. 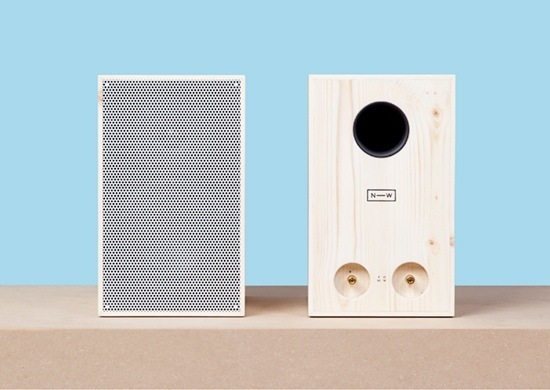 NW3 Speakers. Clean, Simple, Functional. What More Do You Need? 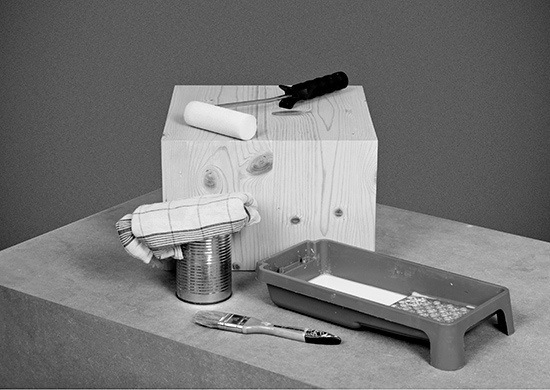 NW3 is a Germany based interdisciplinary collective where products are designed, manufactured and distributed in close collaboration with local craftsmen and businesses. In addition NW3 tries to explore alternative forms of production and graphic shapes. 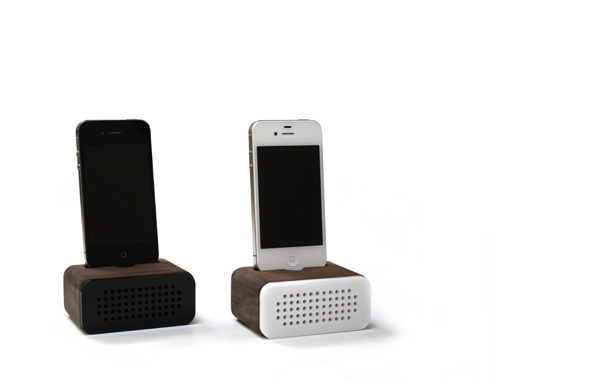 The NW3 speakers create a natural looking and sounding stereo system that can be used in every area of your house. 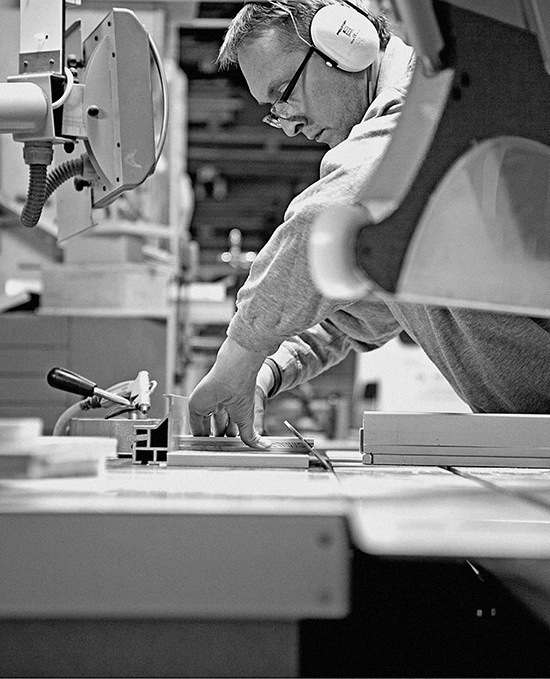 The drivers are manufactured by the Danish company Pearless. 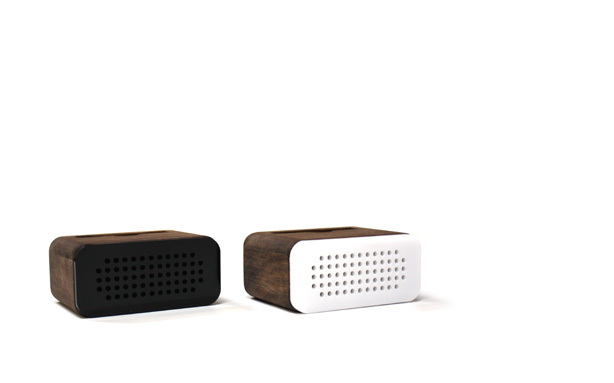 The simple box housing, is made from local wood, solvent-free stain and protected with natural wax finish. 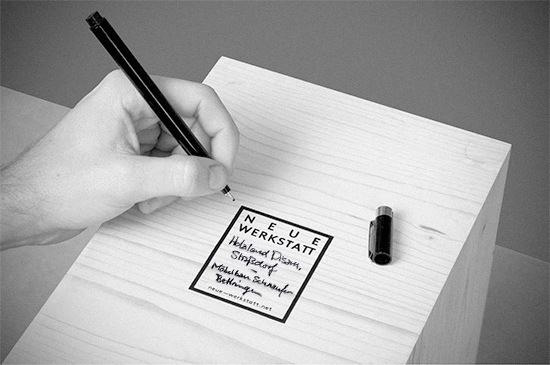 All work is done by a small carpenters workshop in Germany. 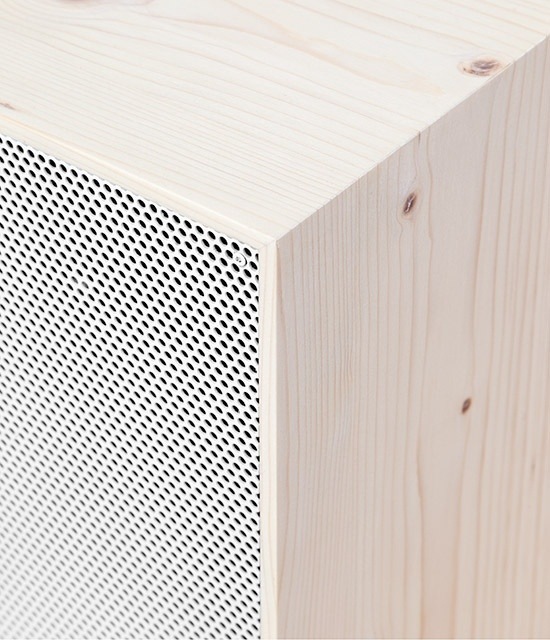 The front speaker grills are made of powder-coated steel that compliments the simple shape and lines of the speakers. 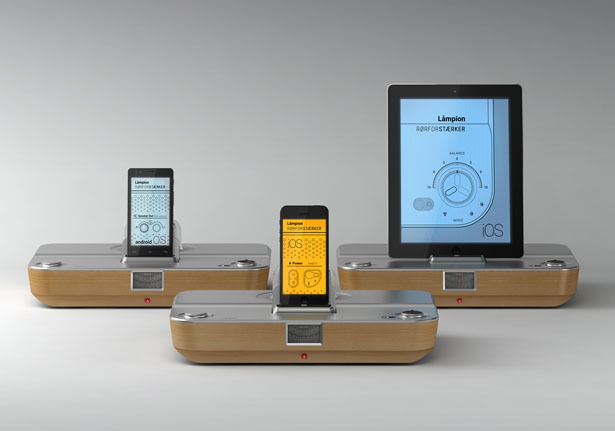 Posted in Design and Art, Music and such and tagged Clean Design, hand crafted, Hand Made, Locally Sourced., Minimalist Design, NW3, Speakers, Stereo on June 8, 2013 by Author. I actually own a set of the original Harman Kardon Soundsticks. I’ve had them for about 6 years and I really do love them. The clear plastic design helps them fade away into the background of the room, and they put out some solid sound. (at least my rock scarred ear drums think so. I’m probably not the best judge though thanks to my punk rock years) Like all speaker systems, actually like all modern electronics, one thing that has always bugged me are the wires. 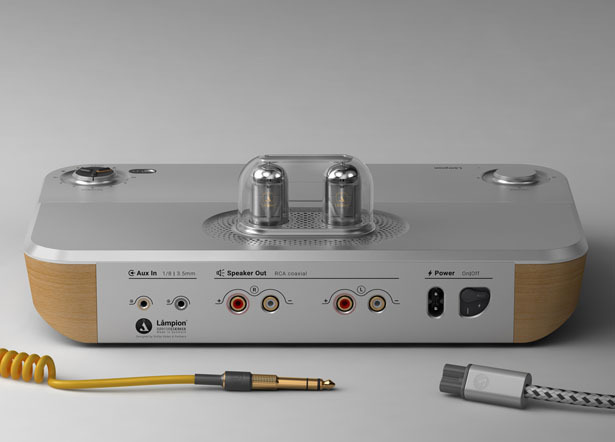 With the original Soundsticks there are copious amounts of cable, but now Harman Kardon SoundSticks have been updated into a wireless version. 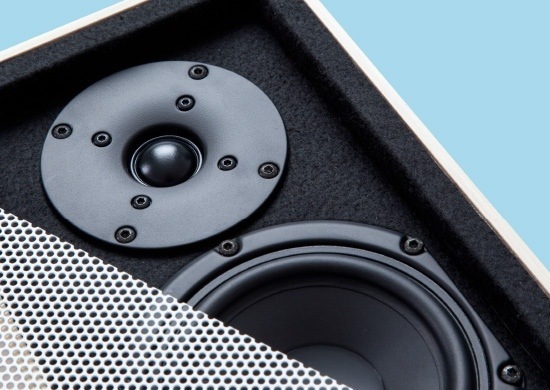 SoundSticks III now use Bluetooth technology to deliver a signal to the six-inch subwoofer, and two satellite speakers with eight full-range drivers. 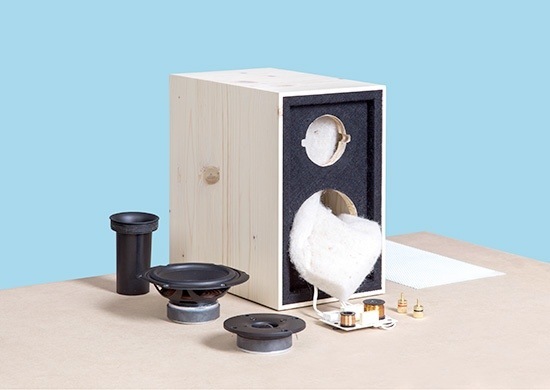 The speakers still deliver 40 watts of amplification which won’t blow the windows out of your humble abode, but will fill a good sized room with lots of sound. Harman Kardon Soundsticks III can seamlessly stream audio from any of your Bluetooth enabled devices. 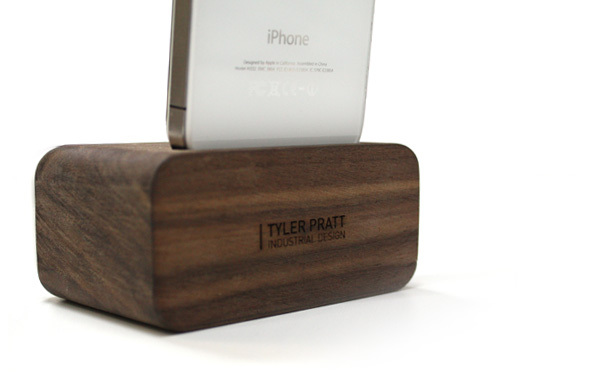 No word on iPhone 5 support, so I know I won’t be buying these right away. They will be going on the wish list though. 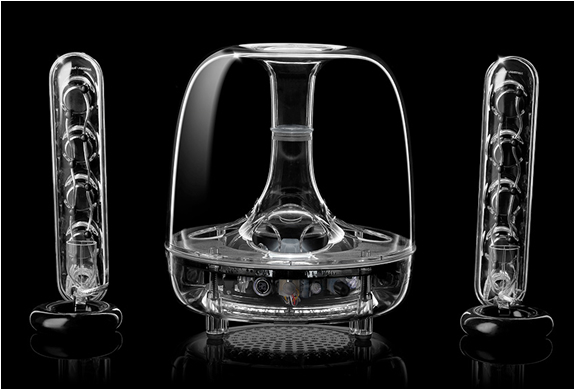 Posted in Design and Art, Music and such, Technology and tagged Bluetooth Speakers, Harman Kardon, Harman Kardon Soundsticks, Industrial Design, iPhone 5, Museum of Modern Art, Soundsticks, Soundsticks III, Speakers, Stereo on September 26, 2012 by Author. Monday Want. 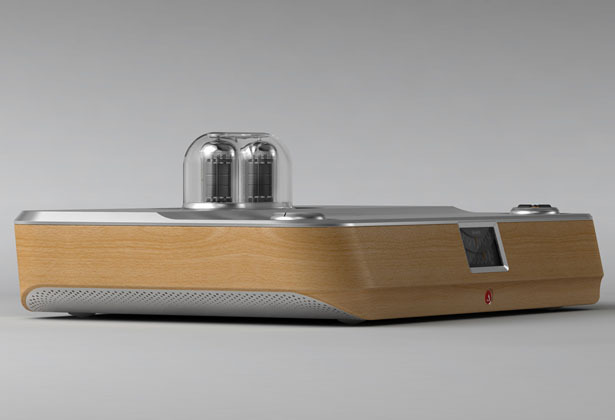 Symbol Audio’s Modern Record Console. I’ve always been fascinated with old school stereo console units. Especially mid-century ones that had a sleek modern look to them. There is something about the self-contained entertainment console with sturdy wood construction that appeals to me. It probably has something to do with my obsession about not seeing any cords, or wires. 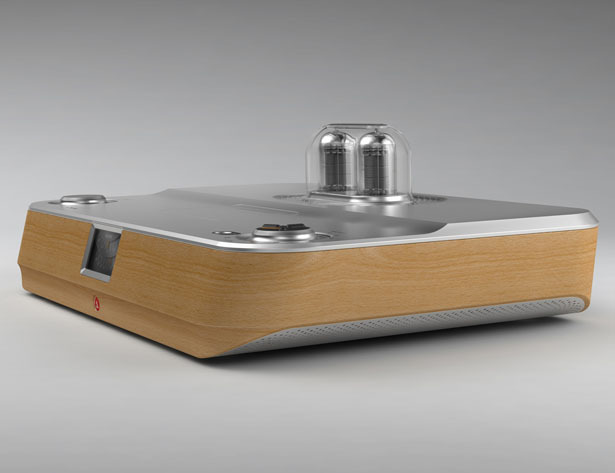 Symbol Audio is resurrecting the stereo console in a very upscale and stylish way with units like the Modern Record Console which pays homage to all in one console hifi systems of the 1950’s and early 1960’s. 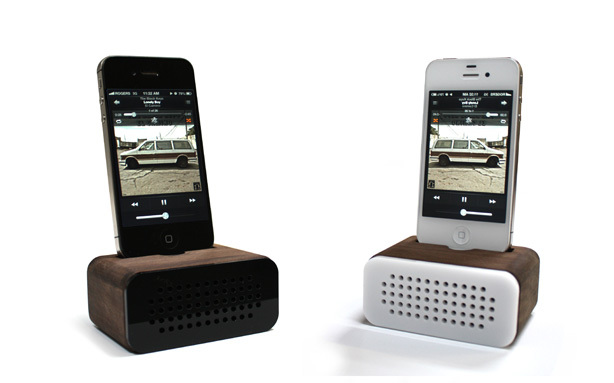 Modern Record Console is a hand-built stereo designed by Blake Tovin and Matt Richmond. 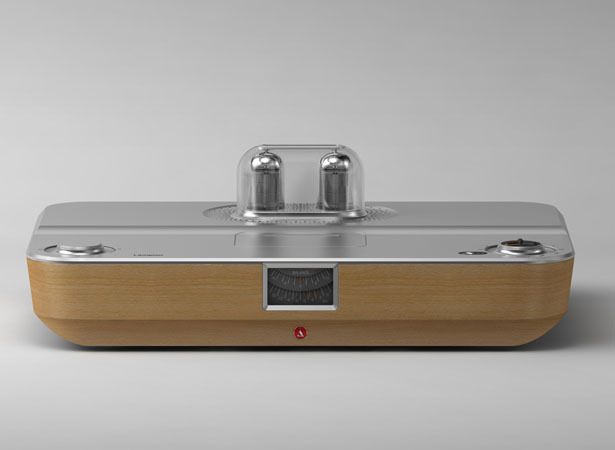 It features things like a custom designed hand-wired tube amplifier, wireless connectivity, a carbon fiber tonearm fitted with a Sumiko Blue Point #2 cartridge for playing vinyl and two 6.5” full range speakers. All of this is stored inside of a steel and wood cabinet that looks absolutely fantastic with clean lines and a deep walnut finish. Like the flagship Modern Record Console, Symbol Audio also produces a table top stereo and a record cabinet for holding your vinyl, and CD collections. Both units are equally well designed and built. You can see the entire collection here. Posted in Design and Art, Furniture, Music and such and tagged Blake Tovin, Furniture Design, iPad, iPhone, iPod, Matt Richmond, Stereo, Sumiko Blue Point #2 cartridge, Symbol Audio on September 24, 2012 by Author.